Fun music activity for toddlers and preschoolers that takes the music learning outdoors! As a piano teacher, I love to share my passion for music with my kids and it is already evident that my boys love anything music related. 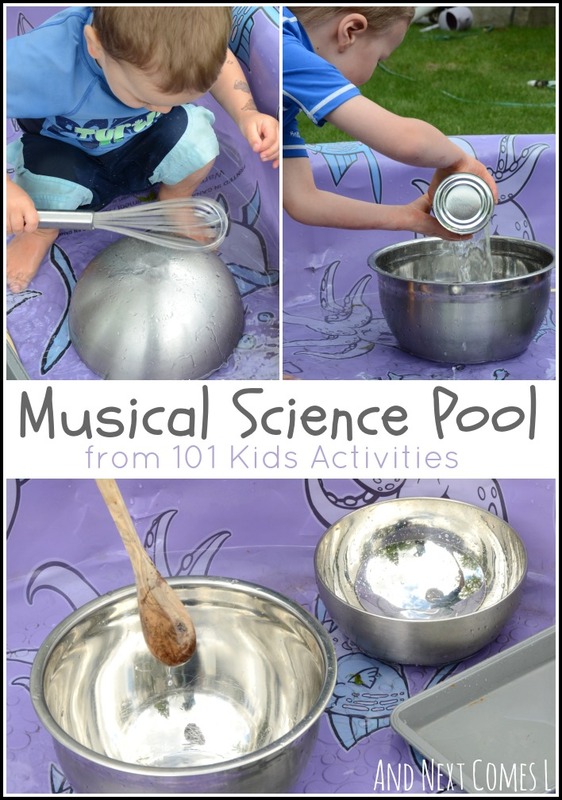 We have done our fair share of music activities before, so when our copy of 101 Kids Activities arrived, I was delighted to see a musical science pool activity. I knew it was the perfect fit for us the minute I spotted it in the book. This post contains affiliate links for your convenience. I was given a copy of 101 Kids Activities from Kids Activities Blog. All opinions expressed are my own and are not influenced by the free product. We filled our pool with just enough water to allow for scooping water. J also insisted on not filling the pool too much. The boys enjoy scooping and pouring water so that's what they did first. Lots and lots of scooping and pouring. Then it was time to make some music! It was very tentative banging at first, but then K got right into it. J was more interested in playing with the water, but both boys had a blast! And if that's not enough, J keeps flipping through the 101 Kids Activities book. He has looked at it every single day since it arrived in the mail. 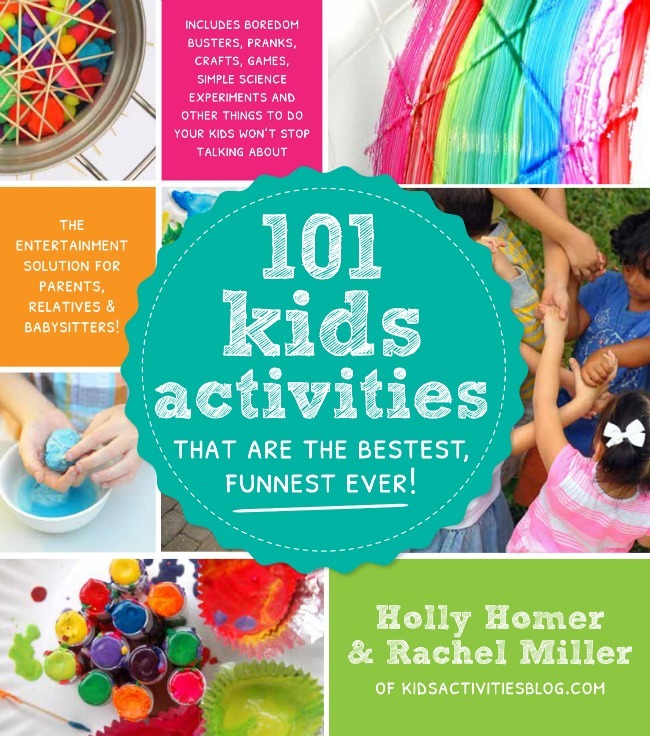 There are so many fun ideas to try in this book, making it a great resource for us, especially on those days where I can't figure out what to do with the boys. Yes, I have those days. I have admitted it before. It's also going to be a handy book for my husband (or grandparents when they babysit!). He and the boys can simply flip through the book and pick something to try. One activity down, one hundred to go! To find out more about the book or purchase your own copy, please click here or on the image below. What a fun idea! Got to get the kiddie pool out this weekend! The kids will love it, OneMommy! This looks like SUCH fun!! This is on our list of activities from the book to try for sure! Kingston would be all over it, Blayne! I can only imagine his squeals playing in a musical pool like this!